Forgiving yourself more difficult, then forgiving others. Forgive your mistakes you have made in the past for you can move forward in your life. You can release a lots of negative energy and feeling you have been holding and start simply accept the past and accept what happened. When You accepting the mistakes you’ve made and forgiving yourself fully. You can learn from your past mistakes, you feel confident and looking forward. Forgiving yourself can be life changing, but it’s also important to release of the hurt and disappointment in your life. You can’t change the past, you can only accept that. This entry was posted in just :) and tagged Forgive, Health, Healthy Living by Susanna. Bookmark the permalink. 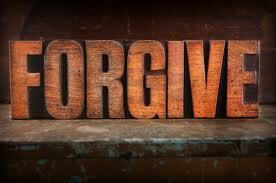 I do have a harder time forgiving myself versus forgiving others. I’m a perfectionist at times, and I tend to criticize myself when I do something wrong. When I do forgive myself, I feel relieve and love. Everyone makes mistakes, and everyone is worthy of forgiveness.